Hello, all! Ashley here with a new weekly segment we’ll be sharing on the blog: Quilty Question. We can’t wait to hear your responses and have conversations started on the blog. Make sure you comment and return next week for the next question…. No matter how many times I create a budget, designers keep coming out with new lines of fabric. Inevitably, this means I need new fabric, and it might even require me to cancel a hair appointment or two…. Just this week, I finally made it to my first hair appointment since June, and low and behold, I’ve already spotted two new lines that I need. (Yes, need.) Do you ever have this “problem,” too? Have you seen the newest color line from V and Co due out next Spring? 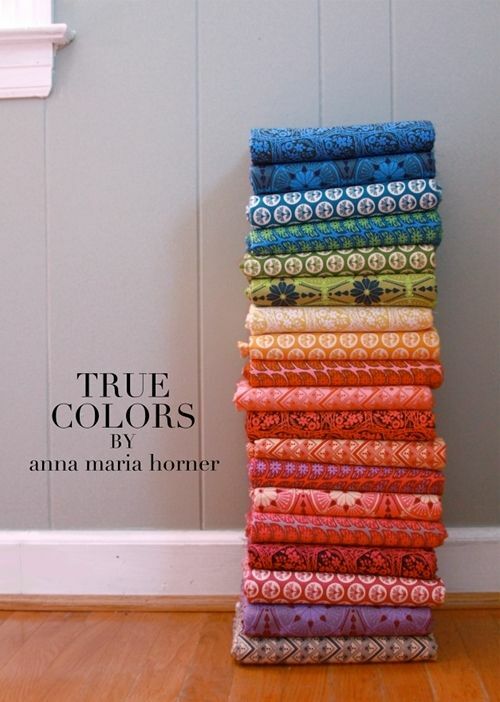 Or Anna Maria Horner’s new line, True Colors due out this fall? With lines like these coming out soon, I’m wondering how long it will be before my hair sees scissors again? What upcoming lines are you looking forward to this year? Come on, share. Trust me, my budget has a little wiggle room to add a few more…. Both of your choices look great, Ashley! I am, unfortunately, on a no-more-fabric-for-a-while budget but, if I had the money, I’d buy: Little Things by Arrin Turnmire for Moda, Downtown by LP Krueger for Windham, Anna Maria Horner’s voiles, a selection of the Peppered Cottons by Pepper Cory for Studio E Fabrics, and anything at all by Yashiko Jinzenzi for Yuwa. I have GOT to get some of my projects finished so I can justify buying more fabric! I have been eyeing AMH’s True Colors as well. When she posted a stack of it on Instagram I fell in love right away with all of those patterns and rich colors! Joel Dewberry has a drop dead gorgeous (with a capital G) new line and Lotta has another one and Denyse has another one (some new colors and patterns that are different for her) and ….. Wish I were going to Market to see them all! I am just so happy surrounded by all that fabric deliciousness! I didn’t know Anna Maria Horner had a new line coming out! I love her stuff. I usually don’t know much about lines before they hit the stores. I’ve been lucky to work with some Cloud9 lines before they’ve been released. I’m actually really excited about Alissa Haight Carlton’s new line of cross-weave solids. Where do you find out about new releases? I used to follow TrueUp.net, but she stopped updating the blog. Melanie, I just looked those up, and of course I love them! They are gorgeous! 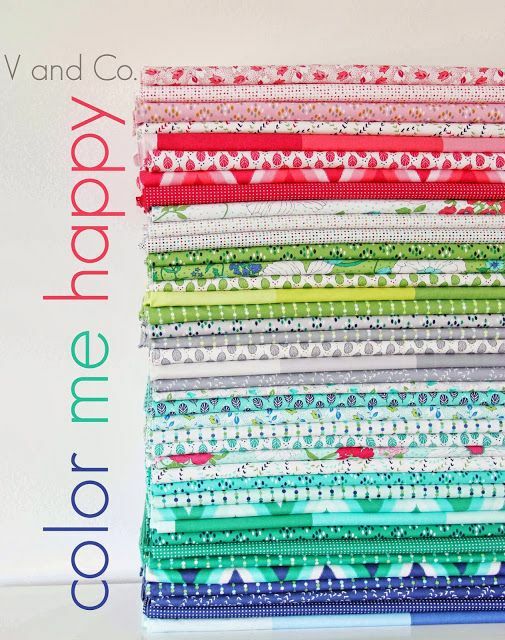 I see new fabric lines on Pinterest… which always has a way of sucking me in and spitting me back out with one thousand new projects!